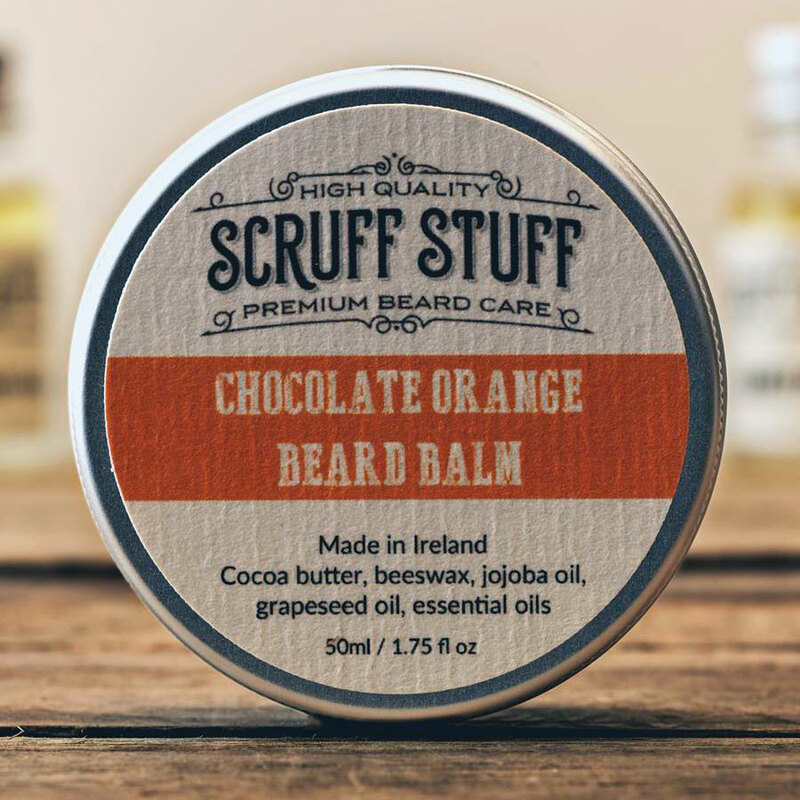 Scruff Stuff beard balm is a leave-in conditioner that moisturises, softens and helps to style your beard. Shea and cocoa butters, combined with jojoba and grapeseed oil offer excellent conditioning properties. The beeswax acts as a protectant, sealing in moisture and adding some light hold to tame those stray hairs. Peppermint essential oil, combined with the scent of cocoa butter make this a chocolatey, minty treat. 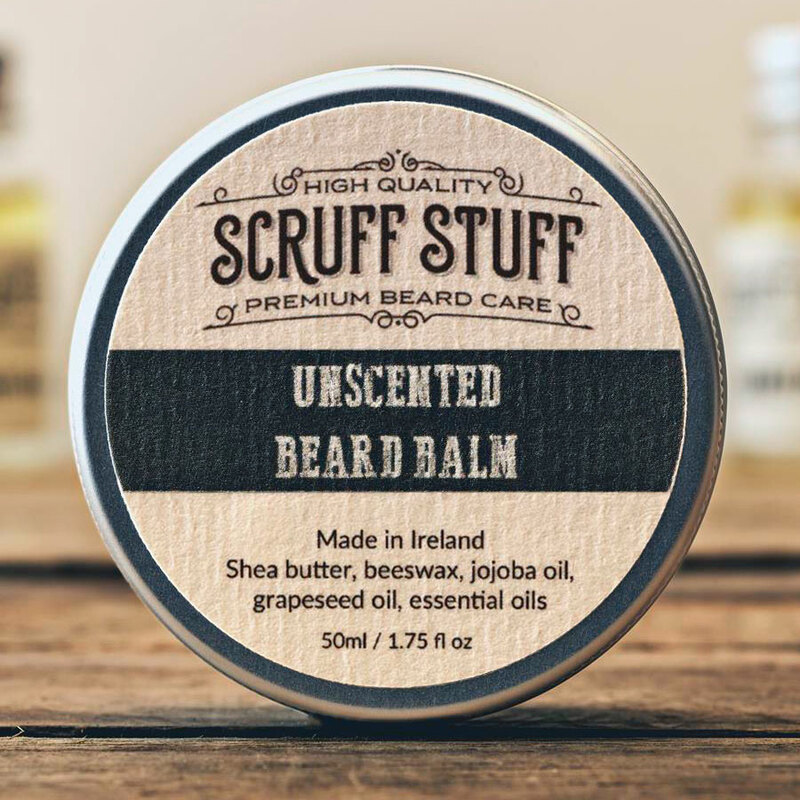 Goes well with all beard oils. 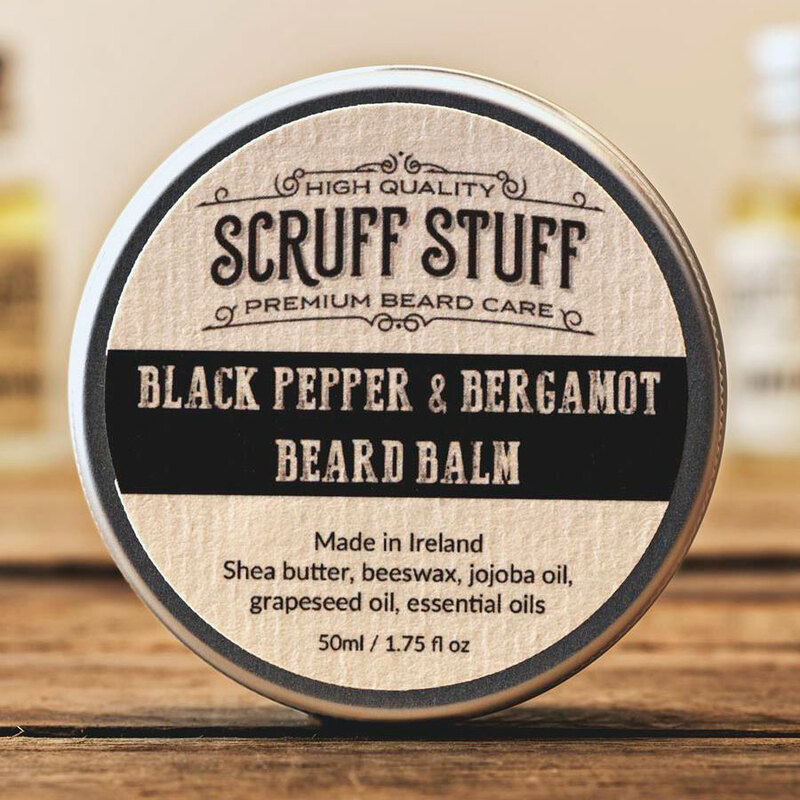 Spicy black pepper and tangy bergamot give this balm unique scent that's sure to please the nostrils and tame the beard. At the time of writing, I'd have to say easily the best balm I've used. 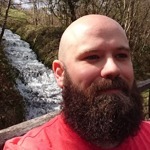 Smells great, and tames the beard well and it's a decent size tub as well. Two thumbs up here! Cocoa butter and sweet, sweet orange make balm smell delicious. Warning - Do Not Eat. For beard taming only. Best used with Into the Wild, Pirate's Breath or Morning Wood. 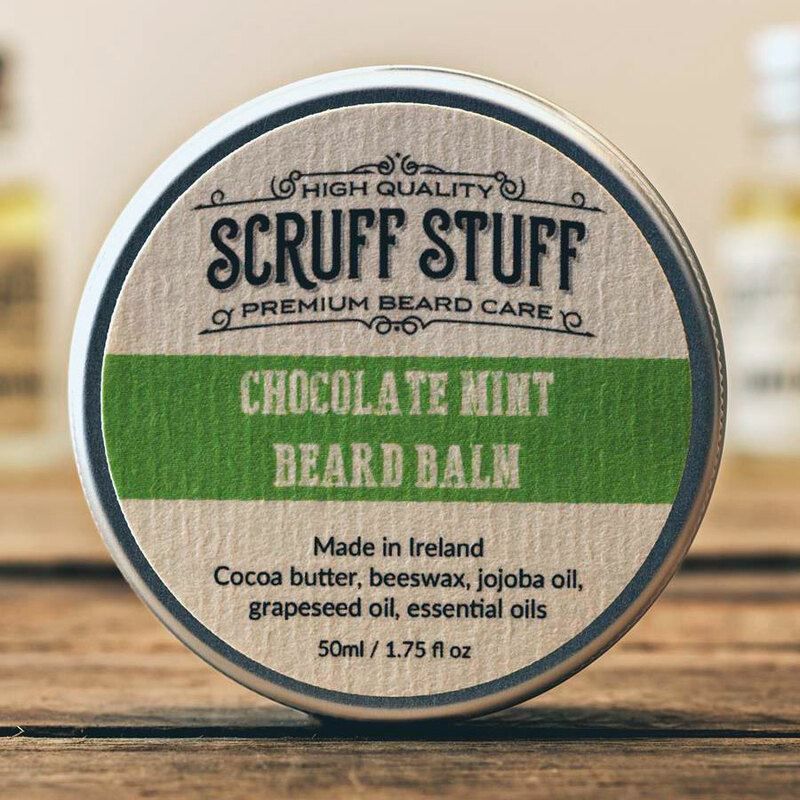 All the beard conditioning and stray hair wrangling properties you love with no added scent.